Watch TEEN's Video for "Carolina"
The quartet better known as TEEN released their debut LP In Limbo last fall, putting their track "Better" on best songs of 2012 lists across the boards. It also landed them a position on Time Magazine's "11 Great Bands You Don't Know (But Should)" and Stereogum's "Band to Watch," among others. 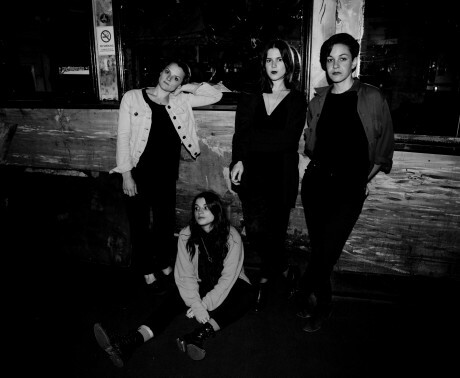 Following the critical success of the In Limbo the band, comprised of Teeny Lieberson (vocals, multi-instrumentalist), Katherine Lieberson (drums), Lizzie Lieberson (keyboard) and Jane Herships (bass), have returned with a new five track EP. The Carolina EP serves as a stepping stone, perfecting the psych pop heard on their previous album. The band wanted this effort to be a "more natural affair," playing only what they could physically perform live. Inspired by artists like Kate Bush and Al Green, Teeny sings in a much higher register, which can be heard throughout. "It felt like the next step forward would be to take a more simplistic, live approach, play lines in unison and create a different kind of conversation between the instuments," said Teeny. Enjoy the video for "Carolina" below. 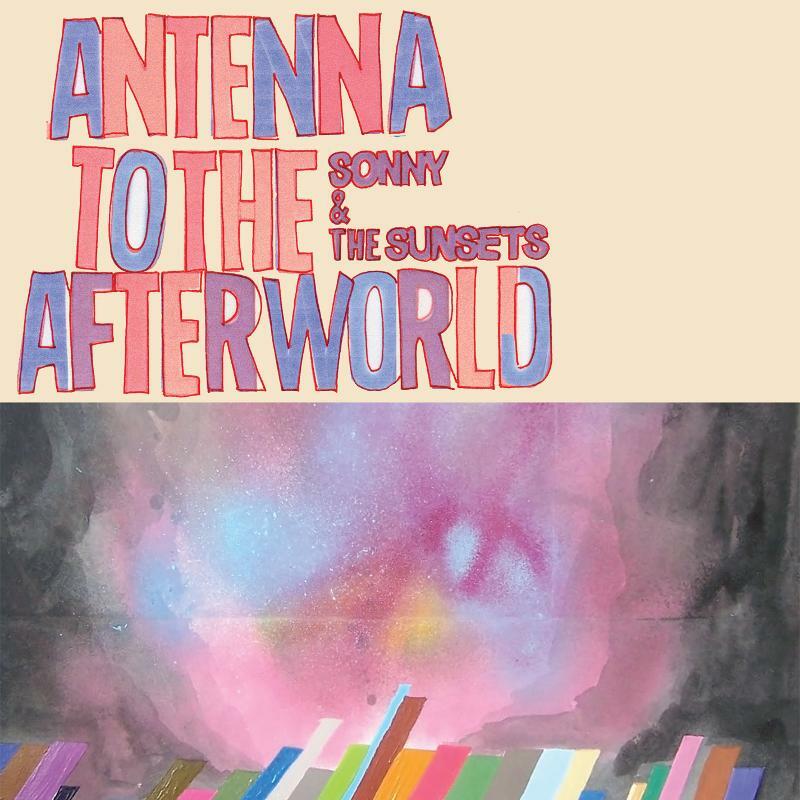 Sonny & The Sunsets Video for "palmreader"
It may be somewhat bizarre that blood and body parts are flying in recent video for "palmreader," the latest single from Sonny and the Sunsets off their upcoming LP Antenna to the Afterworld, but aside from the gore it gives us a glimpse into another promising album from the quartet. Directed by frontman Sonny Smith, the video features two individuals who get caught up in the game of "oneupmanship," which can be seen below. The new album is to be released on June 11 (Polyvinyl) and is available for pre-order HERE. Listen: Surfer Blood Share New Track "Gravity"
We're still (just under) two weeks away from Pythons, the new Surfer Blood album, but the group has released another track from their next LP to hold us over. After seeing the group live and hearing a few new songs, I'm eagerly awaiting the Florida quartet's next effort. Check out "Gravity" below, and be on the lookout for Pythons, which is scheduled for release June 10. It's that time of year again, that's right, Festival Season. While some people tremble in fear at the thought of music festivals, we here at FPT say bring it on. And this year we start with Michigan's Electric Forest, stacked with sought-after names like String Cheese Incidient, Pretty Lights, Yeasayer, Passion Pit, and Empire of the Sun, and countless others. Recently making an appearance on travel website, Jetsetter's list of The World's Best Music Festivals, what makes this festival anymore appealing than the last? 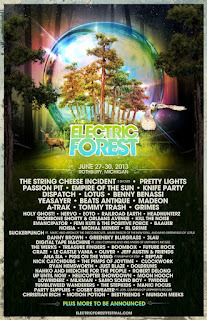 Well this year EF offers expanded philanthropic efforts, combined with its lineup and environment - located deep within the forests of Rothbury, Michigan. Located in the heart of the grounds, a place called Sherwood Forest is the pulse of the festival and a place that truly needs to be experienced to be appreciated. During the day explore the various art installations or relax in one of the many hammocks that hang between the trees in preparation for the lavish light display, that comes to life at night. Sherwood Forest is one of the most talked about and visited areas of the festival, offering music day and night including unannounced surprise performances. Electric Forest proves that a festival can be more than just one big party by offering its own fan engagement platform. The "Plug In" Program is a unique "open source" way for the festival's community members to get involved. Embracing the creative process, the Plug In Program ultimately offers a fun way to embrace the creative process through various events and contests which will help shape the look and feel of the Electric Forest Experience. If you want to give back, other opportunities are readily available such as the non-profit organization, Conscious Alliance. From a personal standpoint, I've witnessed this program at similar festivals and it's an opportune way to give back, while taking home memorabilia like limited edition screen prints, posters and other artworks. In 2012 Electric Forest also partnered with the non-profit re-naming its food drive to the Roy Prince Memorial Food Drive encouraging attendees to donate non-perishables. reoccurring theme at just about any relevant festival. The program, Electricology, was a large success in 2012 with the reduction of waste through sustainable products, composting and recycling. The interesting feature this program has to offer is when you properly dispose of your waste at one of the "EcoZones" you are actually rewarded with points which can be redeemed at the Electricology Store, also giving attendees the chance to win signed artist merchandise, private shows, etc. A clean festival is better than a dirty one and Electric Forest provides all the right tools to keep the environment sanitary and sustainable. The String Cheese Incident (3 Shows), Pretty Lights, Passion Pit, Empire of the Sun, Knife Party, Above & Beyond, Lotus, Benny Benassi, Yeasayer, Beats Antique, GrizMatik, Grimes, Holy Ghost!, Nervo, Eoto, Future Rock, Orchard Lounge the Polish Ambassador, Flosstradamus, Railroad Earth, Pigs on the Wing, GrizMatik, Morgan Page, Trombone Shorty & Orleans Avenue, Future Rock and many more. 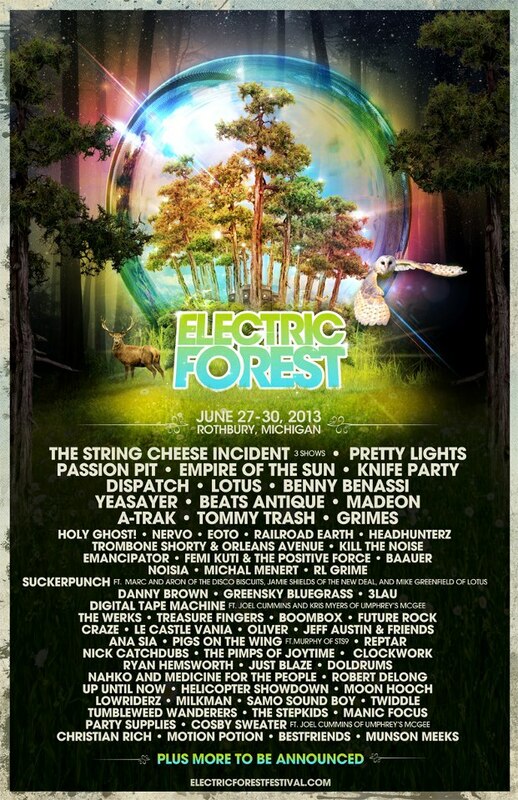 To view the full lineup I encourage you to visit the official Electric Forest website. Although Electric Forest is packed jaw dropping names, especially from the EDM scene, one of the many beautiful aspects of this festival is the opportunity to discover new music. Below I compiled a shortlist of some "must see" artists that should not be overlooked. Love them or hate them, we have to pay some homage to one of America's most significant bands spanning a career over 14 years. They have built an incredibly large and devoted fan base, being recognized for their commitment to musical creativity and integrity and innovative approach to the business of music. With a reputation for being a true "live band" and playing all three nights, there really isn't a reason to see them at least once. Quite possibly one of the most anticipated acts of 2013, Empire of the Sun took the music scene by surprise with 2008's highly praised and critically acclaimed Walking on a Dream. The Australian duo are back with their highly anticipated Ice on the Dune, which is to be released just a few weeks prior to Electric Forest so you can definitely expect some new material. With their widely praised and outlandish live performances, Empire of the Sun is without a doubt a must see. 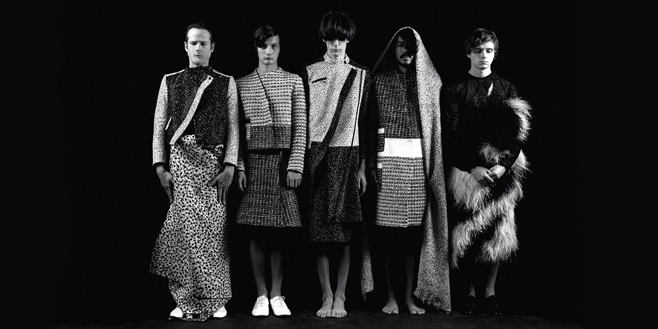 There are few bands in particular that I have been buzzing about from their start, and Yeasayer is one of them. 2007's All Hour Cymbals offered sounds ranging from experimental rock to neo-psychedella, making it one of the most significant albums of the 2000s. 2010's Odd Blood and their most current release, Fragrant World expanded their meaning of experimentation, featuring a broad range of genres, the group has managed to carve out a unique identity for themselves. Yeasayer are truly making 21st century music, EF eloquently described Fragrant World, "Couched in healthy fear, yet unafraid to move forward and expand, pulling in new influences just as frequently as new worries, Yeasayer have created a difficult, dense and beautiful record. It's as much a synthesis of the last three decades of pop music as it is a new way of grappling with the end of time." Reptar is quite possibly one of the most underrated up and coming bands to appear in the music world over the last few years and is hands down one of the bands I am most eager to experience again. Inspired by world-music the band has built a unique "blend of danceable and electro fused pop." They continue to gain praise over their highly energetic, intimate yet "riotous, must see live show" and we at FPT can attest to that. Currently signed to DFA Records (LCD Soundsystem, Yacht), Holy Ghost! are an American synthpop duo from Brooklyn, NY. With an interesting range of vocal accompaniment, the duo is largely known for their dance grooves, resulting in an unforgettable live experience. I feel like Grimes has been a reoccurring name since Claire Boucher created the project in 2010. I also feel foolishly uneducated when it comes to the artist even though I am strongly familiar with the name. Combining her electronic, experimental, indie-dream pop with her visually appealing live performance, Grimes is an artist I am eager to see. 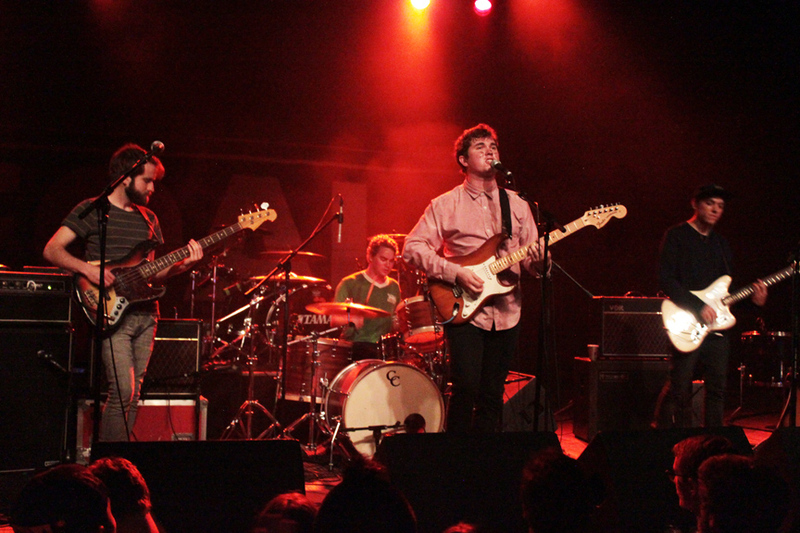 The Massachusetts group formed in 2007 and released the Chunk of Change EP a year later. Despite its positive reviews I personally feel the 6 track EP is often overlooked even though it holds some of their best work to date. It also cleared the path for what would become their widely recognized debut LP, titled Manners and eventually Gossamer, both brilliant, highly successful electro-pop albums. This project consists of drummers, Michael Travis and Jason Hann, EOTO is a group that has been swarming the festival scene for years. With an industry so heavily saturated with electronic acts, this group continues to rise to the top with their innovative live performance, organic instruments and "uncharted musical exploration." Eoto is widely known for their live setup, performing nearly 200 shows a year with each show different than the last. Lotus is one of those live bands I fell in love with early on in college and although they have long since elaborated on their early funk driven jam sound, they still bring heavy dance beats and synth to the stage. Lotus has crafted a unique musical style outside of simple genre limitations, resulting in a highly infectious show. Synthesizer enthusiast Eliot Lipp un-expectantly became one of the most popular artists in the contemporary electronic music scene. Lipp is known to use vintage gear creating a unique modern sound taking influence from Hip Hop and House. He is one of the industry's most influential musicians widely respected throughout the world. I'm not sure I can say it much better than EF here: "Throughout all of it, the dance jams, the abused samples, the widely swaying moods and tempos, Lesser Evil is sewn together by the distinctive tones in Woodhead's voice, ranging from the tender femininity of Sunrise and Holographic Sandcastles, to full-blown, tripped out howling on She is the Wave. A bold and varied offering that never once waivers when it comes to ingenuity, energy and imagination." Doldrums is known to leave audiences capitvated and energized. Dubbed as "Supafunkrock," and with over 200 shows in the last year, the group continues to push their own limitations to explore new musical territory. Talk about diversity at a festival, this group pushes the limits of your traditional brass band incorporating elements of jazz, rock, funk & hip hop. Watch: Brazos' New Video for "Charm"
We're super excited about the new album, Saltwater coming from Austin-native Brazos later this month. Originally the recording name of Martin Crane, Brazos now features a full band and their sophomore LP (and singles held within it) have gotten a lot of praise thus far, and for good reason. The music plays like an emotional memoir, embracing lonely feelings and featuring Crane's search within himself. Saltwater is currently streaming over at SPIN and will be released May 28th via Dead Oceans. Check out the new alluring video for "Charm" below, and be on the lookout for more from Brazos soon. May has been an exceptionally great month for live music around Milwaukee, and on May 19th the walls of Turner Hall were rattled by the English band Foals. The Los Angeles group Blondfire took the stage promptly at 8 pm, and performed tracks from their debut EP, Where the Kids Are to near perfection. The crowd was a little lackluster, assumedly due to unfamiliarity with the material. But allow me to tell you the band was a great fit for the bill, which went from dream pop to surfer punk to brit alt by the end of the night. Without Blondfire on the bill, the show may have lost a little of its gleam and energy. 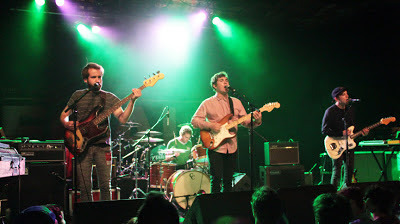 Surfer Blood has been one of my favorite studio acts since they released their album Astro Coast in 2010, yet somehow I'd never seen them perform live. To be honest, I was a little turned off and nervous to see their live act, as the group had released a live DVD with the deluxe bundle of their last EP, Tarot Classics. The live set was a little lackluster, and not really what I was hoping to see from a band whose albums were so cohesive and well put together. Frontman JP Pitts seemed to somehow be too shaky with the delivery of his vibrato, and used it too often. Thus, I was a little nervous about how their set would go. 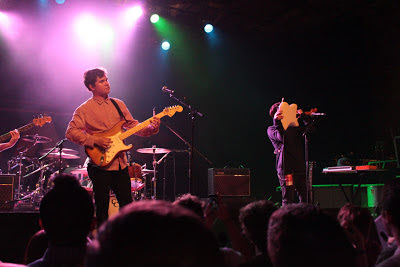 I'm happy to say that I couldn't have been more relieved at the end of their set, as Surfer Blood's show was a "Voyager Reprise" away from perfection. 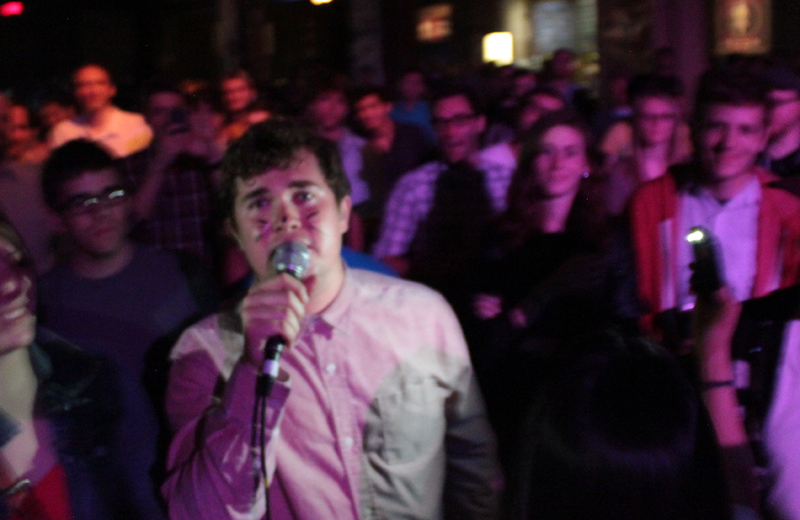 Surfer Blood opened their set with "Floating Vibes" and followed it with "Twin Peaks" to take it up a notch. The group would then go in to "Say Yes To Me" off of their upcoming LP, Pythons; the track that not a lot of people have heard, and I think it really represents the movement in which the band is headed, so check the song out here. Following "Say Yes..." the band went into "Demon Dance" the lead single off of Pythons, and played it to perfection. JP's vocal ability has definitely taken a turn for the better, and it is demonstrated in this song, as well as their live sets. "Demon Dance" features a bridge in which JP shows his punk vocal chops by screaming "Apologies, mean apologies/ We can Demon Dance all night/ Teeth as white as snow, in the vertigo/ Caked in phosphorescent light." The shouting is a welcome discourse from their previous material, and JP seems to really have locked in to his vocal stylings, boasting confidently as his range has expanded a little, and not overdoing his vibrato. Surfer Blood would then play two of my favorites, "Miranda" and "Catholic Pagans" although the crowd was a little lethargic during "Miranda" which was somewhat disappointing. This may have prompted JP's next move: after getting the band's traditional mouse/cat makeup (consisting of a dot on the nose and whiskers drawn on JP by the band's guitarist, Thomas Fekete - familiar to those who follow SB's Instagram feed), JP would climb off of the Turner Hall stage and wander around the crowd while singing "Take it Easy" from Astro Coast and casually taking drags from his e-cigarette. After moseying around for a little bit, JP made his way to me, threw his arm around me and allowed me to sing one of my favorite tracks with him... a true fanboy dream come true. After climbing back on stage, the group would go on to play a few new songs, including one I'd yet to hear, "Slow Six" (the B-Side to "Demon Dance") and "Weird Shapes" making me incredibly excited to get my hands on the new album as soon as possible. Surfer Blood would close with "Swim" and "Drinking Problem" the latter featuring an incredibly good distortion-filled jam session, highlighting the fact that these guys know what they're doing up there. And it'd be easy to say that Surfer Blood stole the show, except they're touring with Foals, a band that pours an incredible amount of passion and energy into their live sets. The last time the group was in town, frontman Yannis climbed from the stage to the balcony, and those that have been to Turner Hall know that it's a good 15-20 feet above stage. Although there weren't any crazy theatrics like that this time around, the show was still ridiculously good. I haven't felt the floors move up and down like that in quite a while. 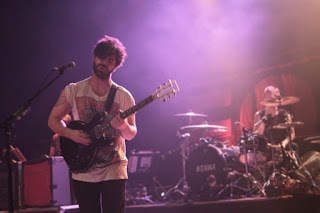 Foals ripped through a set containing highlights from all three of their albums, opening with the opening "Prelude" from Holy Fire and going right in to "Total Life Forever", the title track from their second LP which has one of the best guitar intros of any of their songs and a chorus that begs the crowd to sing along. The set would go on to include Antidotes' "Olympic Airways" and "Red Socks Pugie"; some favorites from Total Life Forever including "Miami" "Spanish Sahara" and my favorite song of theirs, "Blue Blood". The rest of their set was riddled with highlights from Holy Fire, including "My Number" "Milk & Black Spiders" and "Late Night". 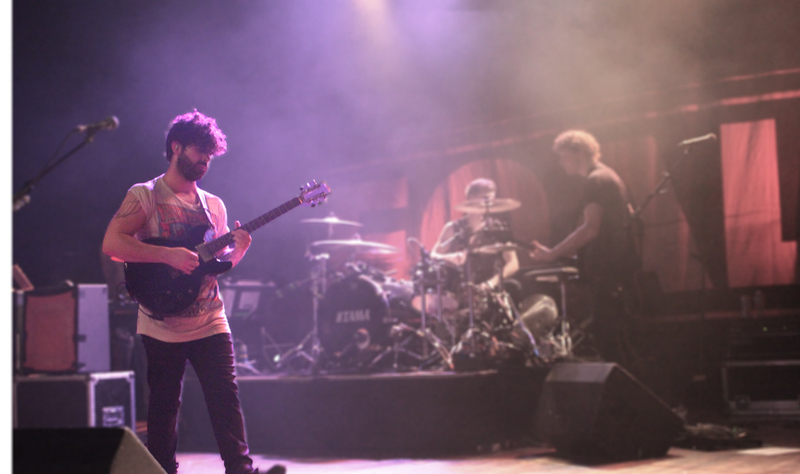 The thing about Foals' studio recordings is that the songs come across as dramatic and epic, usually featuring looping high pitched guitar effects and stirring echoing vocals. This translates to perfection in their live set on Sunday, making one feel as if they were taking part in a horror film. But the set would not go without drama, at least for the writer of this article. During their encore, the band would rip through "Stepson" and go in to their lead single "Inhaler" (a song I've never been wild about, as it sounds too alternative, and did during the show as well). It was during this song that a patron of the show began crowd surfing, something I usually have no problem with, and was surprised he was the first of the evening. However, someone around me fell to the ground, taking me down with them, bringing me down backwards with them. I landed directly on my tailbone, not being able to break my fall as I was holding the camera I was using that night. I got up, and was immediately nauseous and had some blurred vision. Turns out I suffered a concussion that night, the first of my life, and am even going through some pains today as I write this article. I was left to collect my wits while the band closed with "Two Steps Twice"
Nevertheless, the show was impeccable. The triple bill was one of the best I'd seen in a long time, and will go down as one of the best Milwaukee has to offer in 2013; a show to remember, concussion or no concussion. The triple bill of Blondfire, Surfer Blood, and Foals will continue touring the US through the next couple of weeks and into June. Check out the tour dates below. 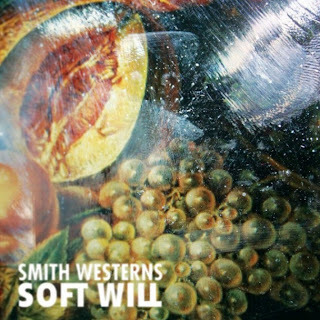 Listen - Smith Westerns "3am Spiritual"
Smith Westerns have debuted another track from their forthcoming LP, Soft Will, due out next month on Mom + Pop. Take a listen to "3am Spiritual" below. The past few months The Strypes have been taking the music scene by storm. Yes they are very young, but also very talented, and have been touted in the music world by the likes of Elton John, Noel Gallagher, Paul Weller, and David Grohl. 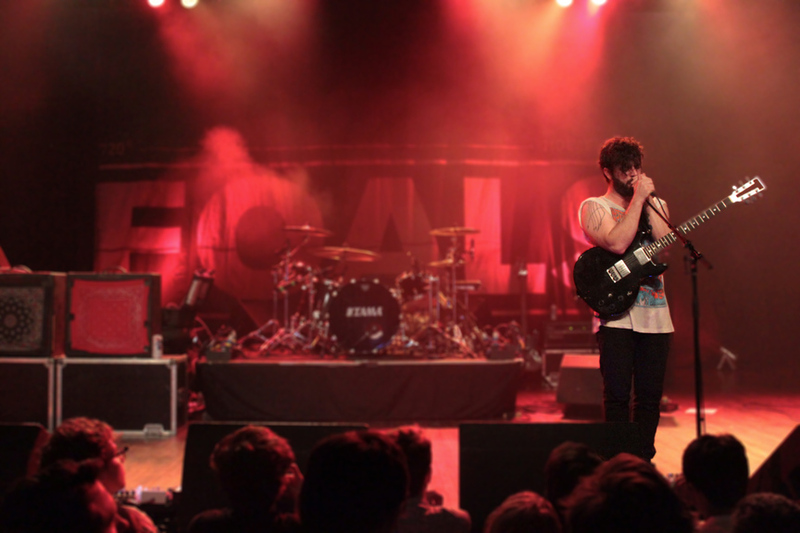 Their live shows are getting the reputation of must see and best live act of 2013 over seas. The Strypes newest effort is their single 'Hometown Girls', which will be released on July 8th, and it picks up directly where they left off with their previous single 'Blue Collar Jane'. Enjoy the lyric video for 'Hometown Girls' below. 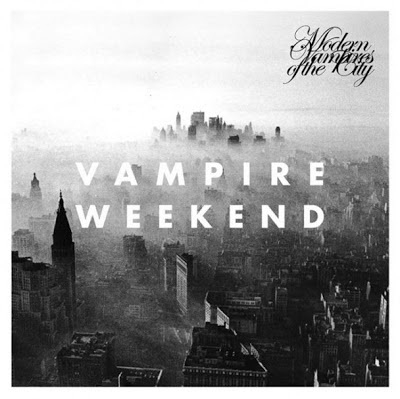 Album Review: Vampire Weekend - "Modern Vampires of the City"
The first time I heard Vampire Weekend was, like many people, upon the release of their debut self-titled album back in 2008. I was working a dead end job, but at the point of my first listen, it was spring, and the music was perfectly uplifting: bright, upbeat, pop music with sentiment and heart. The songs revolved around subjects like college, Lil' Jon, and all things east coast, and these subjects can seem a little trivial. This doesn't mean that the album wasn't great, but the group had room to grow, likening themselves to schoolboys. When Contra was released in 2010, I was eagerly anticipating its revealing. I can distinctly remember it being my birthday and driving through a typical January Wisconsin snow storm to get to a listening party for the album. The bar which held the event was empty, so I made quite the haul of giveaways. Contra was again, filled with spritely, sugar-coated pop songs, but the group took a step forward with the album, providing tracks like "Diplomat's Son" and "Taxi Cab" which opened up their world of songwriting, both lyrically and instrumentally. The album featured strings, electronic drums, and tempo changes galore; coupled with lead singer Ezra Koenig's lyrical growth which seemed to progressively be gaining a sense of self-awareness. The album also saw the rise of keyboardist/multi-instrumentalist Rostam Batmanglij as a major contributor in the band's song writing, and his presence on the songs was much more apparent. Modern Vampires of the City, the latest release from Vampire Weekend only further propels the band as one of the smartest pop groups of our time, if not ever. While Contra took steps forward from what Vampire Weekend provided, Modern Vampires makes leaps and bounds. "So keep that list of who to thank in mind/ And don't forget the rich ones who were kind/ Oh, you oughta spare your face the razor/ Because no one's gonna spare the time for you/ Why don't you spare the world a traitor/ Take your wager back and leave before you lose"
The album fully opens up as "Unbelievers" begins. Rich with Americana, the song almost sounds like a Bruce Springsteen track, and despite the song's lyrics, the band states it is not an atheist anthem. Instead it serves as a love song for people lost within the haze of what the world expects from them, whether that is a belief system or not. The song provides a perfect encapsulation of the band's mentality with the album: the messages might be heavy, but the group still has a sense of humor. "Step" is another fully realization of this mentality. On the surface the track feels heavy and weighed down by its lyrics, but in all actuality, it was inspired by a hip hop song by Souls of Mischief called "Step to my Girl", a song which I beg you to take a listen to. This flips the meaning of the song on its head, once initially seeming like it was about an actual girl, it turns more to an ode to music itself. The lyrics seemed like they come from an overprotective boyfriend, but rather explain the nature of music lovers in our generation. Think of the line "Maybe she's gone and I can't resurrect her/ The truth is she doesn't need me to protect her" not about a girl in Ezra's life, but instead about the music he holds so close to his heart. It'd be easy to get upset about the "homage" to Souls of Mischief, and the general stealing of the song's lead line, but calm down, this is a love song about love songs. This is what is so amazing about this album. Listeners can take the music for what it's worth on face value, brilliant pop music with soul and actual thought behind it, or they can actually delve deeper into what the lyrics mean. Neither of these approaches is wrong, and neither is more correct than the other. But for the sake of the article, I want to keep peeling back the layers of a few of these tracks like we're watching an episode of Lost. "Diane Young" is the name of a salon in NYC, which specializes in anti-aging remedies. The song touches on the 'Live Fast, Die Young' mentality that seems to be running rampant in today's society. Ezra has confessed to being a "name fetishist" and with this in mind, think of Diane Young as a play on 'Dying Young.' Another aspect of the song that I love, is not only how it seems to be a track meant for a car chase scene, but the pitch shifting (which appears frequently in MVotC) in it, which was at first alienating but with listen upon listen, the track thrives with this unique aspect held within it. Songs like "Don't Lie" and "Hannah Hunt" both touch on similar themes, both about love and its incorporation with the fear of aging, or at least staying young. On "Don't Lie" Ezra speaks of a "ticking clock" and a "headstone right in front of you and everyone I know" but also touches on how prior loves mistreated him, begging the notion that life is short and that love can be shorter. "Hannah Hunt" is an early favorite of mine, a song about being sad, plainly put. The track starts slow, focusing solely on a few piano keys and a simple, swirling bass line. While touching on similar themes as Ezra mentions "a man of faith" and life cycles (specifically through asimiles to plants), the track glistens as it picks up. The drums in the track are the first time you can really tell that the band focused on keeping them "warm" by recording them on analog tapes and then using samples to layer on top of portions of them. By the end of the song Ezra's voice is pitch-perfected to give the sound of him yelling, "If I can't trust you then damn it Hannah/ There's no future, there's no answer/ Though we live on the US dollar/ You and me we got our own sense of time"
Remember when every critic said that Vampire Weekend was just a Paul Simon "Graceland" Cover Band? Well these critics are going to have a heyday with "Everlasting Arms" another favorite of mine from Modern Vampires. And the critics who tear apart Ezra and company for focusing on the themes of love and death too much are going to really tear this one apart too. But that's why I love this track, the group is fully embracing all of this. Ezra sings on the second verse "I hummed the Dies Irae while you played the Hallelujah/ Leave me to my cell, leave me to my cell," the Dies Irae being a latin hymn written in the 13th century about the final day of judgement. I don't know why, but there's something so noble about all of this talk of love and religious judgment. I'm not religious... at all. But Ezra Koenig's lyrics about love and a relationship to God really hit home. All of this comes to culmination on "Ya Hey" the band's second single (or third, if you include "Step") for Modern Vampires, about [one?] man's relationship with God. Ezra for the first time reveals some sort of vulnerability to religion, singing almost directly to a deity about the disconnect from modern society and said deity, and eventually reveling, "And I can't help but feel that I made some mistakes/ But I let it go" and later "And I think in your heart/ That you see the mistakes/ But you let it go/ Ya-hey, Ya-hey"
The final tracks on the album, "Hudson" and "Young Lion" are where the group throws a few curve balls, as MVotC finishes. 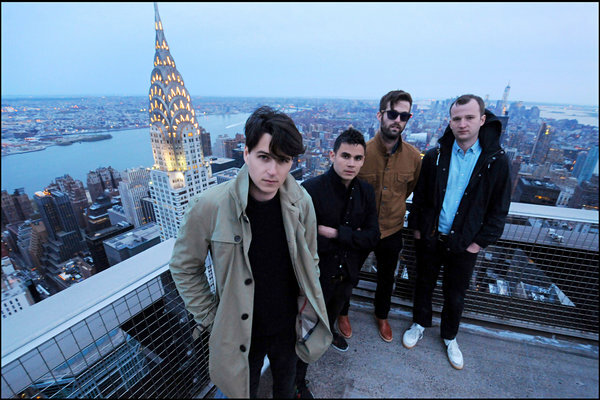 Ezra states about "Hudson" that it is surely a departure from the adjectives that normally surround Vampire Weekend. Words like "fun" and "spring," et al, are curbed in the final songs on the album. "Hudson" is an almost haunting track, with the choir and strings backing Ezra's lyrics about inking a deal with a seemingly maleficent man and the eventual recognition of when one's time will end. However it's important for the group to be able to express these types of tones and emotions as they grow as a band; Vampire Weekend shouldn't be all bubblegum and cotton candy and spring and giddy. To wrap this incredibly long and arduous and probably over-thinking of a pop album, it's important to focus on Vampire Weekend's mentality. 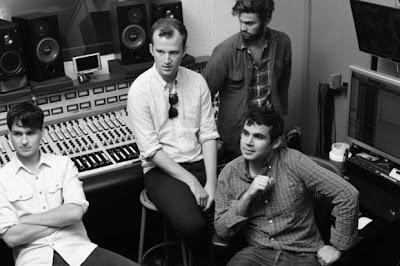 They are incredibly proud of this album, with Rostam saying on Twitter that Modern Vampires of the City is his favorite album the group has made to date. Ezra came out and stated in an interview that "we don't want to disrespect the first two albums by dropping a shittier version of them" and that he was looking to create a "dark, epic, dancehall album." And although he admits the album didn't quite turn out like that, the moods and emotion held within Modern Vampires of the City are unlike anything you'd expect from the band that released Vampire Weekend. 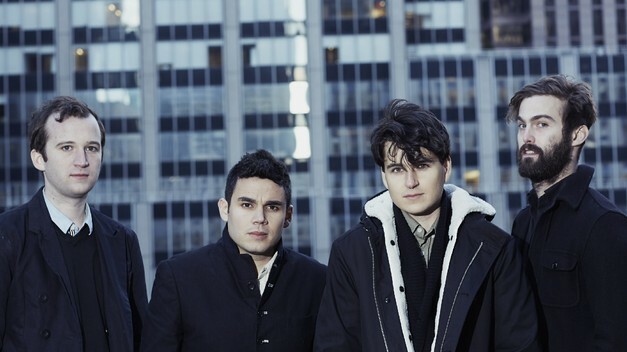 Vampire Weekend has hit a stride unlike any other band on the market right now. Their sound is fresh and ripe and developing with every song and album they release. They will go down as one of the most intelligent and acute group of artists of our time. And Modern Vampires of the City only cements that. 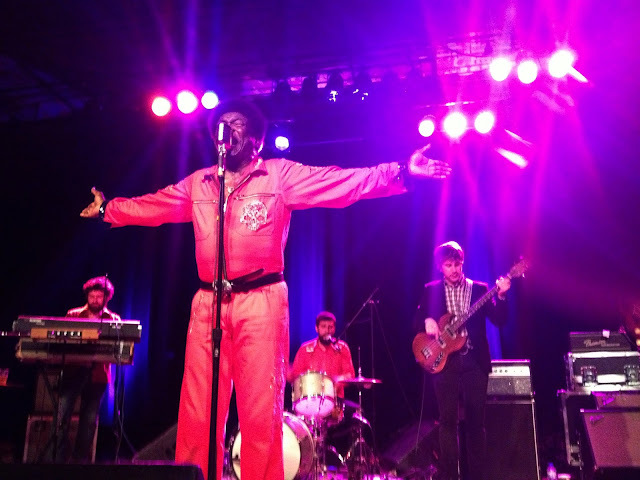 The "Screaming Eagle of Soul," Charles Bradley graced the Turner Hall stage last Wednesday night to an adorning crowd. His second trip through Milwaukee in as many years, and my second time seeing him, Bradley made it seem like he never left; as if he had made a home in the city the last time he came through. Whether this was because of the crowd, or because of Charles' general demeanor on stage doesn't really matter. But both deserve mentioning. Turner's audience that night was a mixed bag of people, but Charles Bradley honestly doesn't mind where you're from, what color your skin color is, or what religion you follow. His shows unite all who are within earshot and eyesight of the performer, as he dances and sings in a manner that can send goosebumps up your arm and legitimately warm your heart. They call Charles the "Screaming Eagle of Soul" most notably because of his go-to move in which he extends his arms and raises them up and down, not in a quick fashion, but rather slowly as he backs away from his microphone and lets his backing band take over as he gyrates and dances. In all honesty, however, they should probably call him the "Ageless Wonder of Soul." Bradley's story is fairly well known at this point, and deservedly so. To put it briefly, Bradley was born in Gainesville, moved to New York, losing his brother at a young age, living with his mother, and taking odd jobs to help support his family. He lived on the streets for a period of time, and eventually began working as a James Brown cover artist at small clubs. 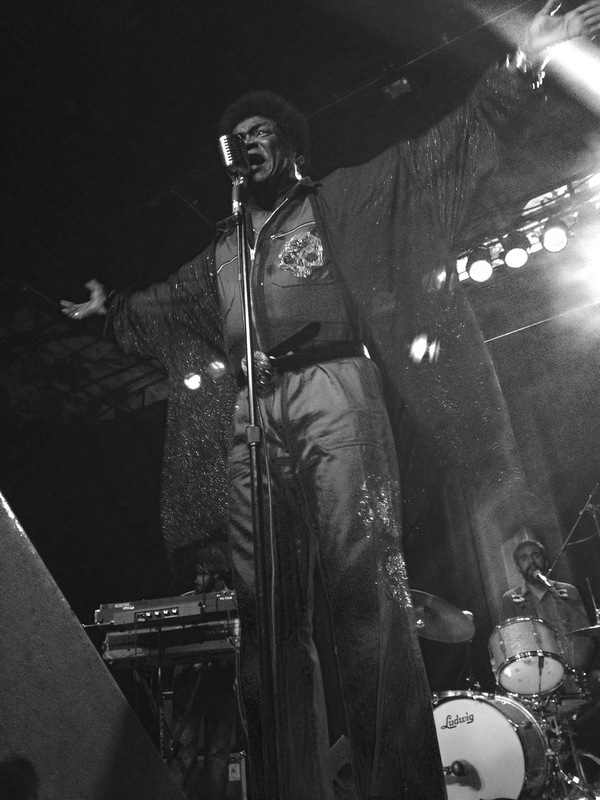 It was at this time that he was discovered by Daptone records, and released his debut album at the age of 62 in 2011. 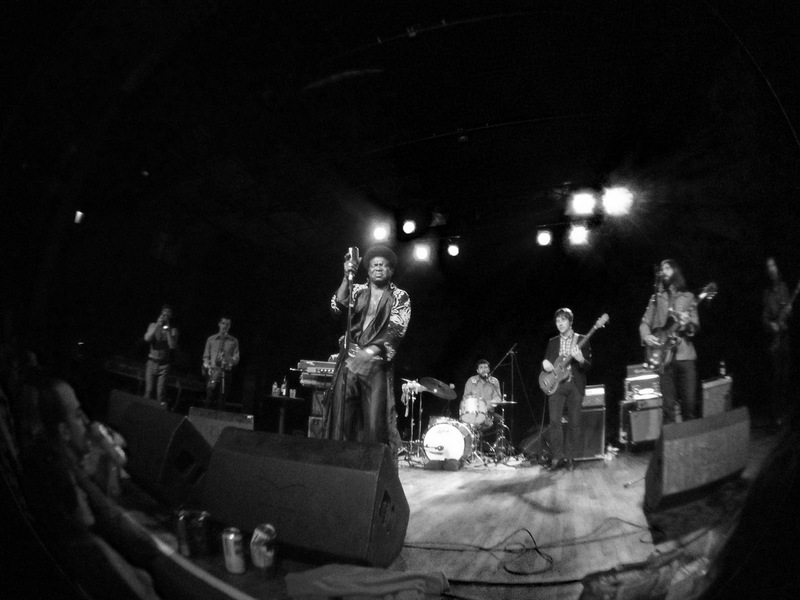 It's this story that gives Charles Bradley his stage presence. He is a classic performer, his dance moves strike awe and wonder in the crowds he performs for, as he's often tossing his microphone to recoil it back with the cord, falling to his knees as he screams in anguish his soulful lyrics, or even hoisting the microphone stand on his back and carrying it across the stage like Christ did his cross. He is a religious man, so none of this is done in vain. His thrusts and version of The Robot were instant crowd pleasers, especially as he began to use these impressive "skills" to play a theremin - an synthesizer instrument that changes tones as objects get closer to it. Some laughed and others simply yelled out "I LOVE YOU" to which Bradley almost always replies, "I LOVE YOU TOO!" To go with Bradley's grace, is his incredibly grateful disposition. Bradley's been to hell, and he knows it, which makes him that much more grateful to be where he is. He appreciates every single set of eyes in the crowd, and aims to reach every single heart with his music. Not to be outdone is Bradley's backing band, lead by guitarist and songwriter Thomas Brenneck and MC/keyboardist for the night Mike Deller, both from The Menahan Street Band. Bradley's show would have little backbone without "his Extraordinaires" and the sheer talent they bring to the stage. 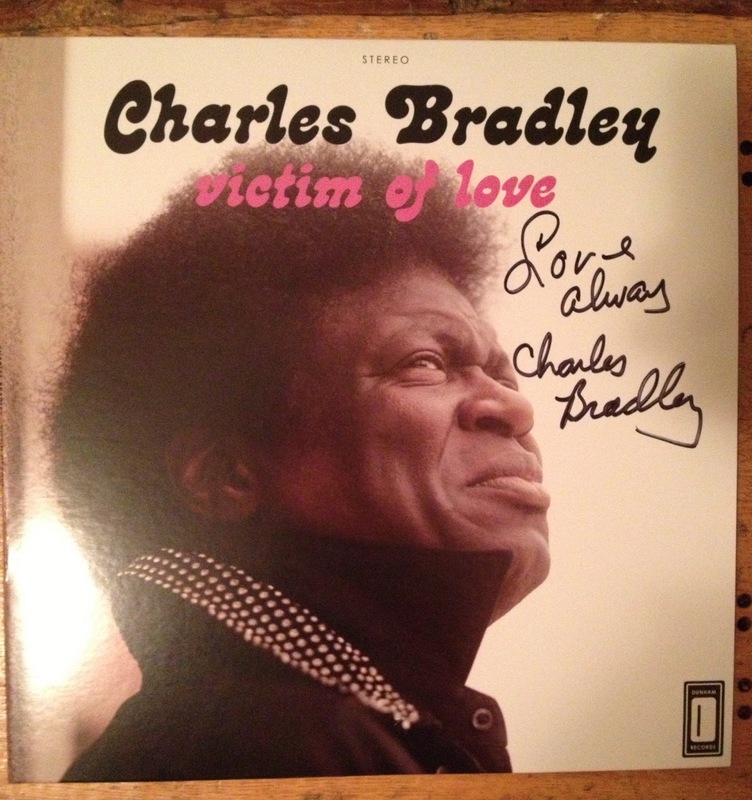 Bradley is touring behind his sophomore album, Victim of Love, and his set contains glorious soulful music from both of his albums, including "Strictly Reserved for You", "You Put the Flame On It", "The World (Is Goin' Up In Flames)" and "Golden Rule", not to mention a fantastic cover of Clarence Carter's "Slip Away". After multiple outfit changes and instrumental breaks which gave Charles a few moments to gather himself and step offstage, Bradley would come out for an encore and perform his hit "Why Is It So Hard" - a song which holds Charles Bradley's tale within it. It's tough to say whether Bradley was sweating or crying (or both) during his set, but regardless of what it was, Charles Bradley pours his heart out through his music and on-stage showcase, and it's difficult to find the adjectives to describe the way a Charles Bradley show makes you feel. No matter what, anyone I talked to after the show agreed on one thing: it's unlike anything you'll see this year, if ever again. Watch: Har Mar Superstar - "Lady, You Shot Me"
One of 2013's best surprise albums has been Bye Bye 17 from the normally tongue-in-cheek Har Mar Superstar. Har Mar (aka Sean Tillman) has made his career by writing and performing slick R&B songs all while basically doing a point-and-shoot move with his fingers and singing in his underwear. His latest album finds Tillman embracing classic soul music, and it's a welcomed step in a new direction. Check out his new video for the lead single "Lady, You Shot Me" and pick up his new album at iTunes. After a few albums filled with studio maestros and pop aficionados, the Louisiana quartet known as Brass Bed, found themselves comfortable in a branded image of pop-infused fuzz rock. With a noticeable live energy and shows becoming faster, the group developed a disconnect between the stage and studio resulting in their their third studio album, The Secret Will Keep You. With only a few listens to the new album and unfamiliar with any older material, I was swept away with an explosive performance from the group on Sunday night. 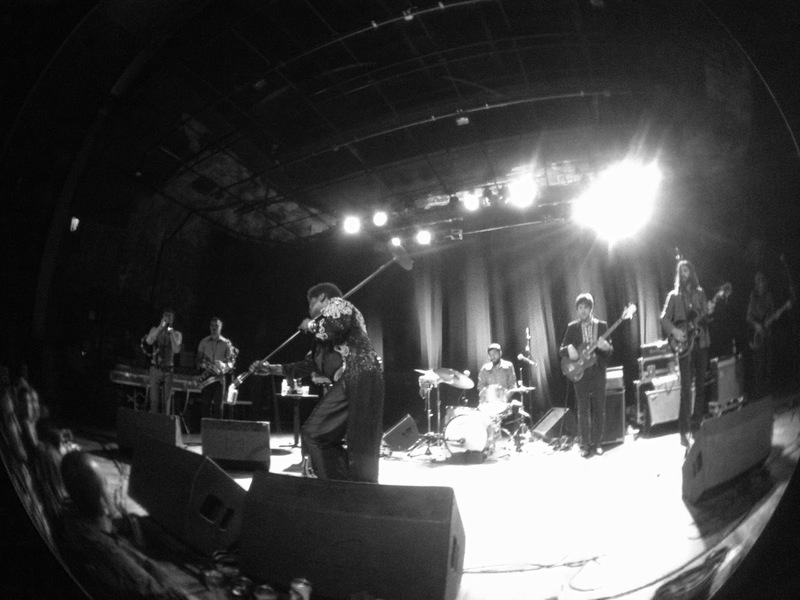 I admit that I am fairly new to the group and with only a few listens under my belt I was unfamiliar with the majority of the set, which is somewhat irrelevant when you have the pleasure of witnessing a phenomenal live band like Brass Bed. Whereas some bands maintain a high level of energy, they often have difficulty maintaining any sense of quality, which proved untrue for Brass Bed. Not only do the guys know their craft, often trading instruments between songs, they have the ability to put on a flawless performance. Their general attitude was positive overall, joking with the audience as those in attendance yelled for more. The set ended with the lyrics "I'd rather take a bullet/I've been thinkin'," from "A Bullet for You," slightly after a mesmerizing jam filled with distortion and wailing guitars. There is a clear connection between the sounds heard on the albums and their ability to add just that little bit extra live proves them to be a band worth checking out. Sometimes with opening bands, you never know what to expect, but with Brass Beds starting things off right we patiently waited for the New Orleans duo. 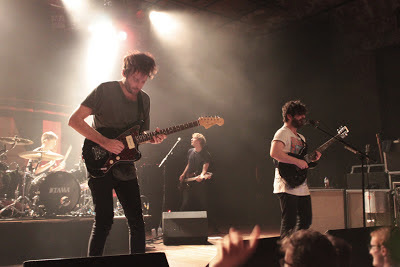 Made up of Grand Widmer and Ted Joyner, the Generationals have been captivating the ears of many since 2009's Con Law and 2011's Actor Castor and now more than ever with 2013's Heza, which the guys are currently on tour in support of. With a small light setup in front of American flags and deer antlers hanging off the wall, the duo took the stage at around 11. Accompanied by two additionals members on drums and bass they dove into the hour long set with an array of songs, many which I didn't recognize from previous albums. As I mentioned above for the opening act Brass Bed, it doesn't make a difference whether you know the songs or not when you are dealing with some live acts. Similar to a Dr. Dog show, the Generationals have the ability to hold your your attention throughout, hoping that it will never end. The guys played a considerable amount of songs from Heza, such as, "Spinoza" an immediate crowd pleaser which resembles something from the late 80's with it's upbeat melody. "You Got Me," briefly slowed things down a bit, tapping into the group's more electronic side of things, while "Put a Light On" did the opposite (a personal favorite). At one point the duo showed us a glimpse of 1950's doo-woop with contemporary tones as the duo sang, "When you wear your black sunglasses/Nobody Could change your mind" from Con Law's "Change your Mind." The night was absolutely perfect from the venue to the performance. Together Brass Bed and Generationals make for a perfect concert bill and while I can only speak for myself, there is a strong chance most in attendance left feeling privileged to have witnessed two phenomenal bands in a fun, intimate environment. With the two acts on the rise I highly recommend checking them out live or at the very least giving Brass Bed's The Secret Will Keep and Generationals Heza a listen... or six. Watch: Smith Westerns' Dreamy Video for "Varsity"
A track that has been pumped through my earbuds nearly everyday since its release, Smith Westerns' "Varsity" was fitted with a music video and released today (via PitchforkTV). The track is a representation of everything Smith Westerns has done well in the past and builds on it ten-fold, lyrically and musically. The depth of the track is pure pop brilliance, basically sugar coated with the motifs the group has been known to feature in their music: the unpredictability and dreaminess of young love. The video's colors and visual motifs fit the song perfectly, and the song itself gives reason to believe that the album, Soft Will (June 25 via Mom+Pop) will be the band's best effort to date. Watch: The National's New Video "Sea of Love"
In anticipation for their newest LP (Trouble Will Find Me), The National have released a new video today for "Sea of Love" and although its video is incredibly minimalistic, the song resonates as powerful and emotional, up to par with what you'd expect from the Cincinnati quintet. The multi-layering of the vocals and the emotional aspect of the lyrics provide a window to what's to come from the album, which will be released May 21. The song contains the lyrics for which the album was named, as lead singer Matt Berninger sings "If I stay here, trouble will find me/ If I stay here, I'll never leave." The track demonstrates fully what the band is capable of, and begs to be seen live (keep your eye for The National as they embark on an expansive tour of the US this summer). July 18th - Belle and Sebastian / Blitzen Trapper! Album of the Week: Deerhunter - "Monomania"
It's been a little over a month since Deerhunter debuted "Monomania" on the Jimmy Fallon show. With his face hiding behind a wig and what appeared to be a bandaged hand consisting of several severed fingers, frontman Bradford Cox stood front and center in a lengthy rockstar pose as he sang the new single. Towards the end, with his bandmates still playing, Cox walked off stage leaving everyone puzzled. Naturally after their "bizarre" performance, the common question circulating amongst viewers seemed to be, "has Bradford Cox taken it too far?" Without any previous knowledge of Deerhunter, their behavior can be easy to judge and coined as bizarre, different or even shocking. It's no longer a secret that Cox has an extreme personality and tends to be erratic at times and while we could sit here pondering whether Cox has,"taken it too far," it doesn't make a difference. In a world so flooded with the notion of "indie," Monomania is as relevant as ever and couldn't have come at a better time. It was around 2008, when I first heard Cryptograms and Microcastle shortly after. At the time it was unlike anything I had heard. The albums rank up there with other classics such a of Montreal's Hissing Fauna, Are You the Destroyer? and Animal Collective's Merriweather Post Pavilion. I can say the same for 2010's Halycon Digest in the sense that the music felt fresh and exciting and while Monomania strays in a new direction, you are absolutely aware that it's Deerhunter. Their fifth effort may be hard to swallow for diehards expecting or hoping for a continuation of ambient shoegaze or dream pop, as Deerhunter just about abandons that sound entirely. 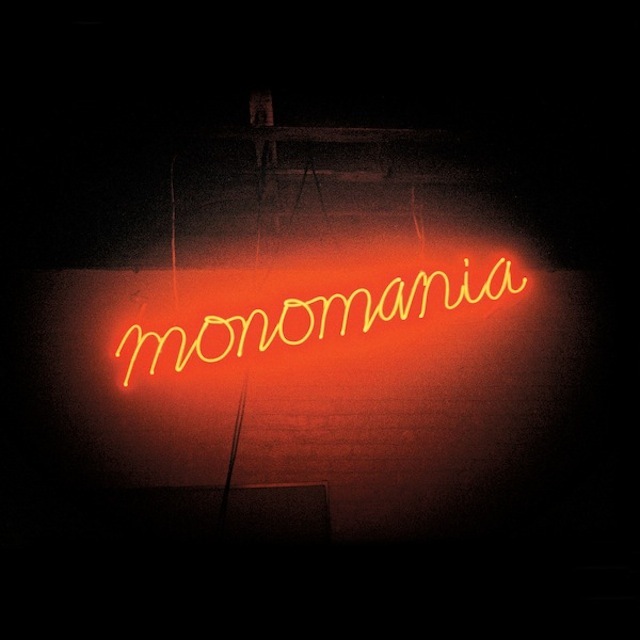 Monomania is without a doubt their most unpredictable, raw and nosiest album to date. It makes sense the majority of the songs came to life around a time plagued with heavy drinking near the release of Parallax (Atlas Sound). "Neon Junkyard" and "Leather Jacket II" open with a swirling array of effects and dense feedback. For someone who has been praising this album from the start, even I have to admit upon first listen I was a bit confused and a little nervous to uncover the unknown. My nerves were soon calmed with "The Missing," (guitarist) Lockett Pundt's sole contribution to the album, an exceptional piece of pop that is guaranteed to be a hit with fans of his side project, Lotus Plaza. With a brief break from the album's dissonance, unpredictability continues throughout with the raw and playful garage rock tones heard on, "Pensacula" before returning to brighter tracks such as, "Dream Boat Captain" or "Blue Agent." "Back to the Middle" slightly resembles something from Cryptograms or even Halcyon Digest; arguably the most upbeat track on the album. "Monomania" references Bradford Cox's obsessive traits as he shouts, "come on god hear my said prayer/if you can't send me an angel/send me something else instead," before finding its way back into a cluster of feedback and noise. The title track eventually concludes with the idle of a small motorbike engine. "Nitebike" is nothing more than Cox's reverbed vocals and acoustic guitar reiterating the fact it was originally recorded on an eight track. "I was punk/I was/ drunk/for a month I had no luck" are select words sung on "Punk (La Vie Antérieure)," the perfect ending to an era of "monomania." Monomania, an album described as "a very avant-garde rock & roll record," takes you for an unpredictable journey of highs and lows with beauty rarely peering through the chaos. Although the album greatly strays from previous Deerhunter work, the bits and pieces that make Deerhunter a whole are prominent throughout. Despite the given, Deerhunter seems strangely at home, making Monomania one of their most brilliant and relevant works to date. Watch: Vampire Weekend's Latest Lyric Video for "Ya Hey"
Still counting down the days until Modern Vampires of the City (we're at 11, now), and today Vampire Weekend gives us another glimpse into the album. Below is their latest lyric video, for their track called "Ya Hey" which was heard in their live sets as well as during their AmEx Unstaged performance. The song features another interesting twist, using vocal alterations to create a chipmunk-like chorus accompaniment. Have a listen below, and pre-order the album at the group's website by clicking here. Listen: New Track from Small Black, "No Stranger"
Definitely worth a listen, if not 4, is this new track from New York's Small Black. "No Stranger" is a track for chillwave's strongest followers, but features enough smooth pop elements and transitions that even the genre's most feared enemies will enjoy it. The track will appear on the band's album Limits of Desire, which will be released on Jagjaguwar on May 14. Small Black is also heading out on a nationwide tour, the dates for which can be found after the stream/video.